As Mamelodi Sundowns prepare to host rivals SuperSport United in the Tshwane derby at Lucas Moripe Stadium tomorrow (18h00), KickOff.com looks at who has the potential to be a match winner in this highly anticipated encounter. The man nicknamed the “Lion King” will go into the derby on a high after bagging his eighth league goal of the campaign in the 1-1 draw with Free State Stars on Wednesday. He is full of running and is not afraid to take players on, which sometimes leads to the opposition fouling him in dangerous areas. He is no doubt going to be a handful for Matsatsantsa. He is knocking on the door and that first goal he is so desperately looking to get could come against his former employers. Against Stars, Brockie got himself into good positions but did not always have the composure that was required. The Sundowns technical team is backing him and that will no doubt give him the desire to repay their faith in him. The Uruguayan made his first start against Ea Lla Koto and set up Tau for a second time since joining the club in January. Like Brockie, Sirino is looking for his first goal for the Brazilians and they don’t come bigger than the derby. He certainly has what it takes to find a chink in the Matsatsantsa armour. He and Tau are already forming a deadly partnership. It's surprising that Phala has not found the back of the net in the 26 matches he played in all competitions this season. 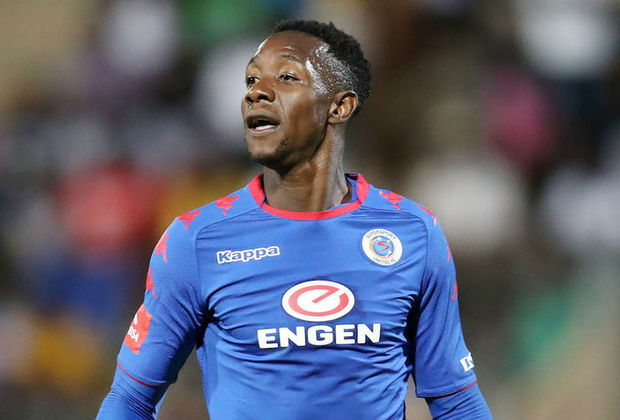 The former Sundowns man, who has just one assist, usually chips in with valuable goals and now has an opportunity to make up for what has been a disappointing campaign. He has to deliver for Matsatsantsa as one of their senior players. Sundowns have been punished by former players in the past – some on loan – and Ngele will be itching to get his name on the score sheet to show Brazilians coach Pitso Mosimane that he should have fielded him more in the first half of the season. Ngele is known for cracking goals and should not be given room to shoot, or else Sundowns will be punished. Brought in to replace Brockie upfront, Rusike has scored once for his new club, in a 4-2 victory over Bloemfontein Celtic recently. During his time with Maritzburg United, the Zimbabwean striker enjoyed scoring against Sundowns. He scored the winner in the MTN8 quarterfinals against the Brazilians this season and was on the score sheet when the Team of Choice held Mosimane’s side to a 2-2 draw at Lucas Moripe Stadium last season in the league. In 2015/16, he scored in a 3-2 defeat in the league.